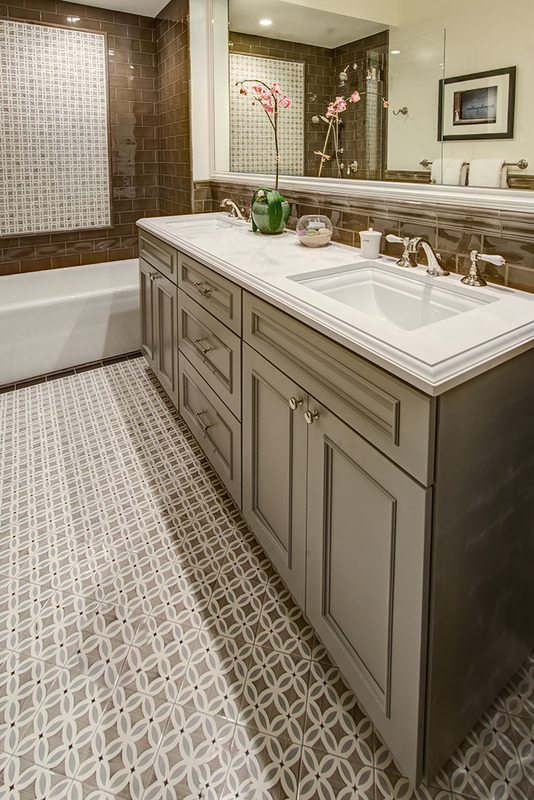 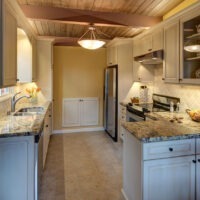 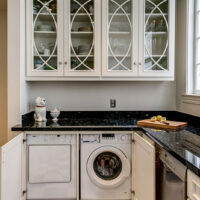 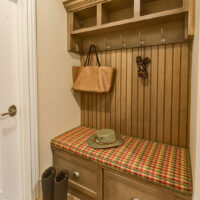 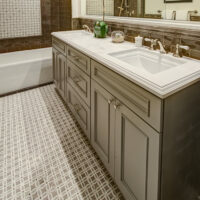 Gilmans Kitchens and Baths offers framed, frameless and inset cabinets to fit into any type of kitchen or bath remodel. 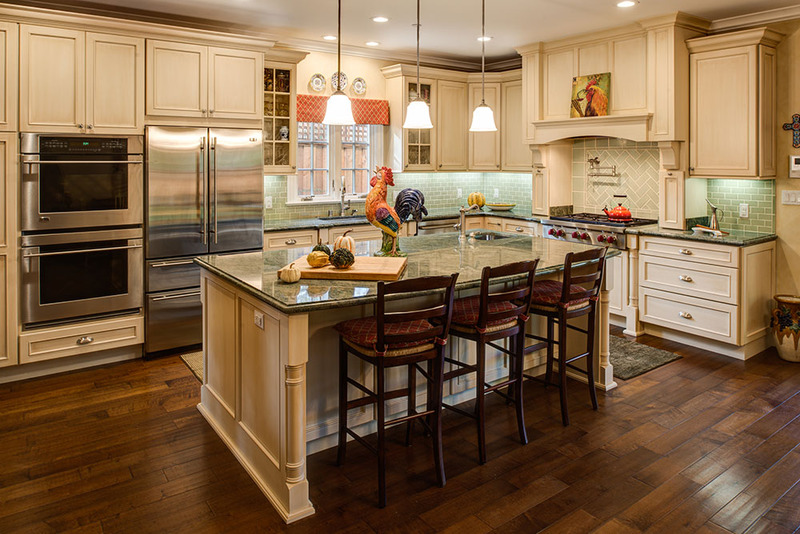 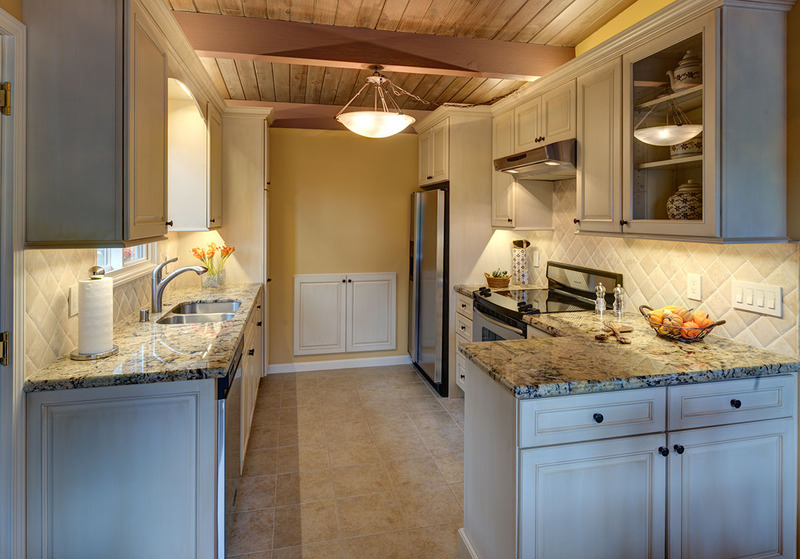 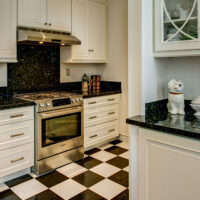 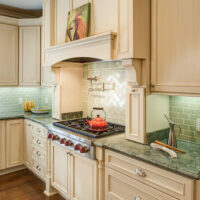 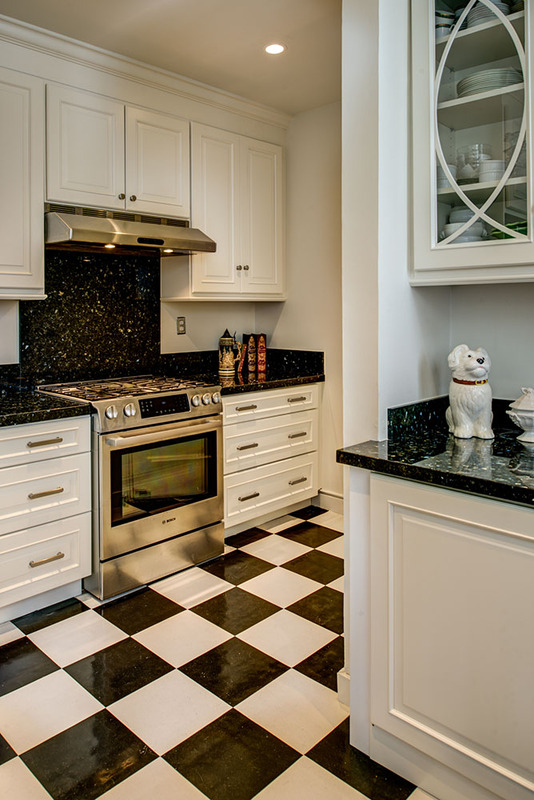 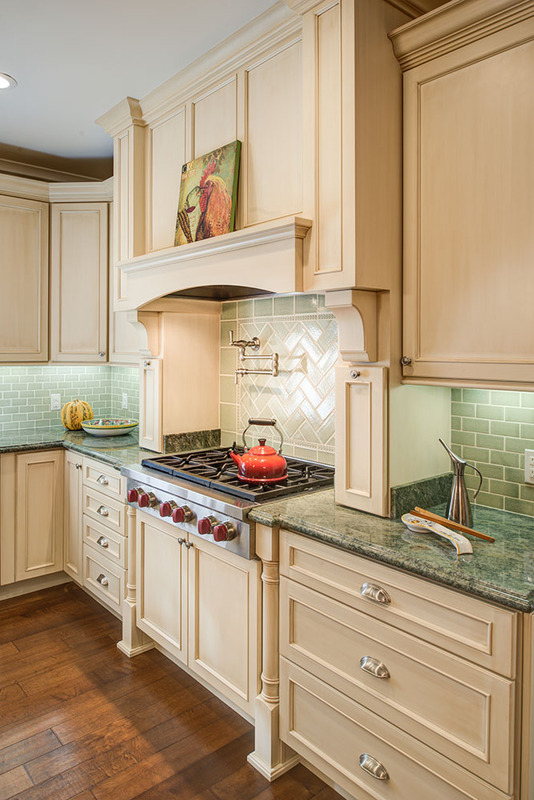 Traditional kitchen designs are often classic and carry more of a formal aesthetic and feel. 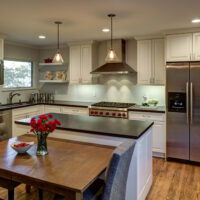 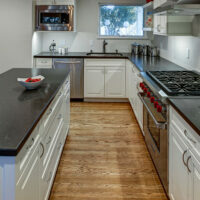 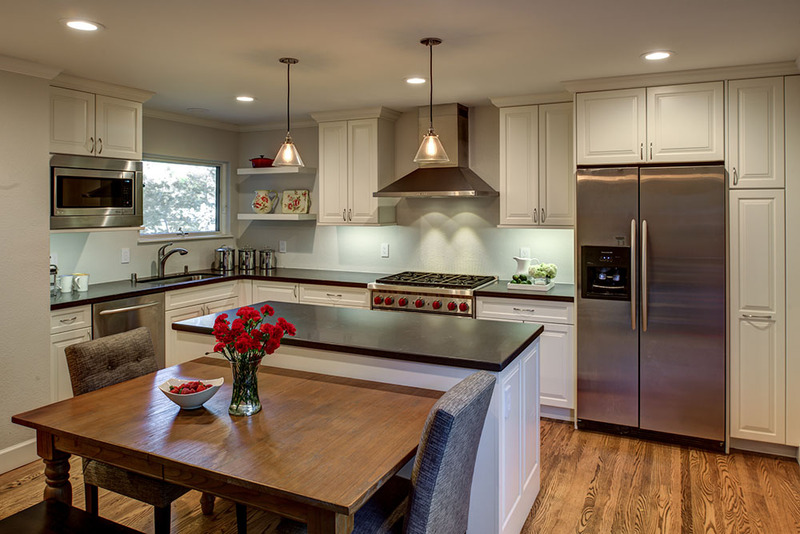 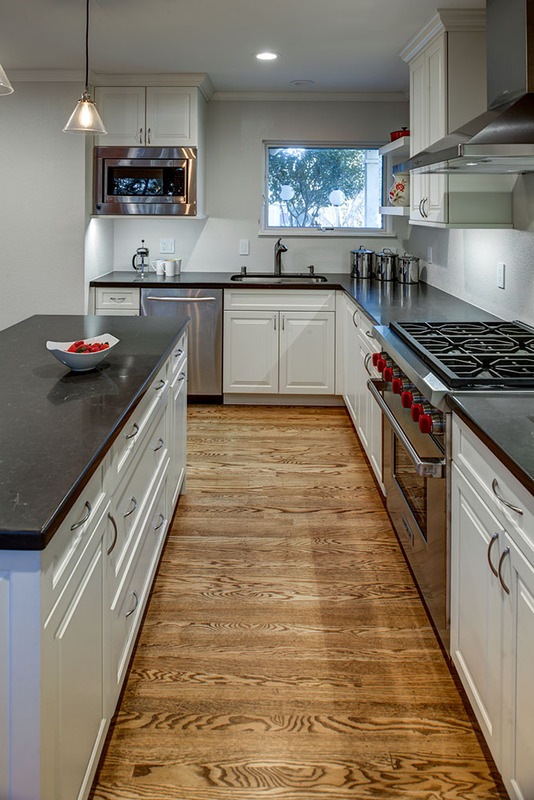 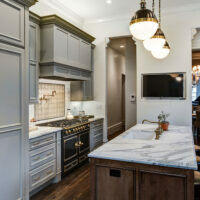 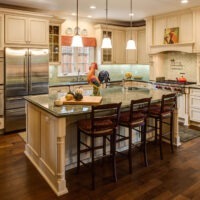 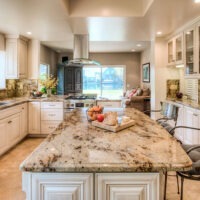 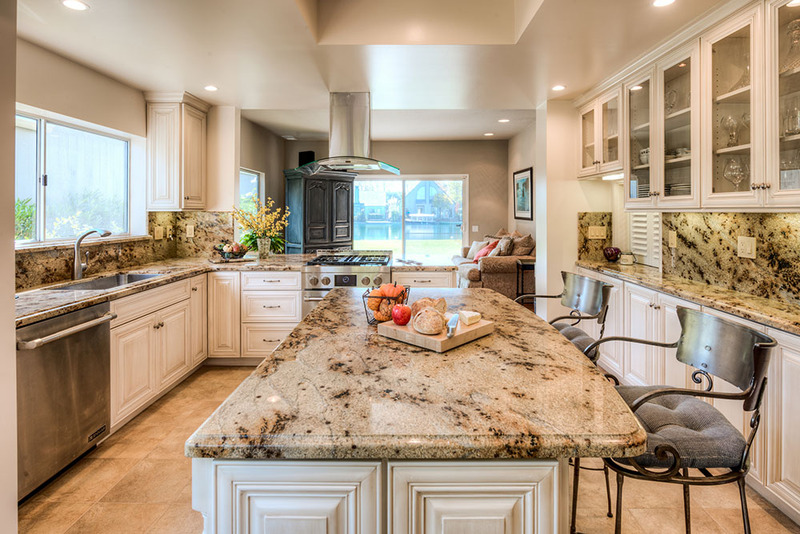 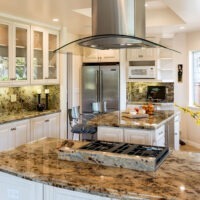 Though more formal than contemporary kitchens, a traditional kitchen may feel warmer and inviting due to richer stains used on cherry, walnut or mahogany wood, although other stains, paints and wood species are also used in traditional cabinetry. 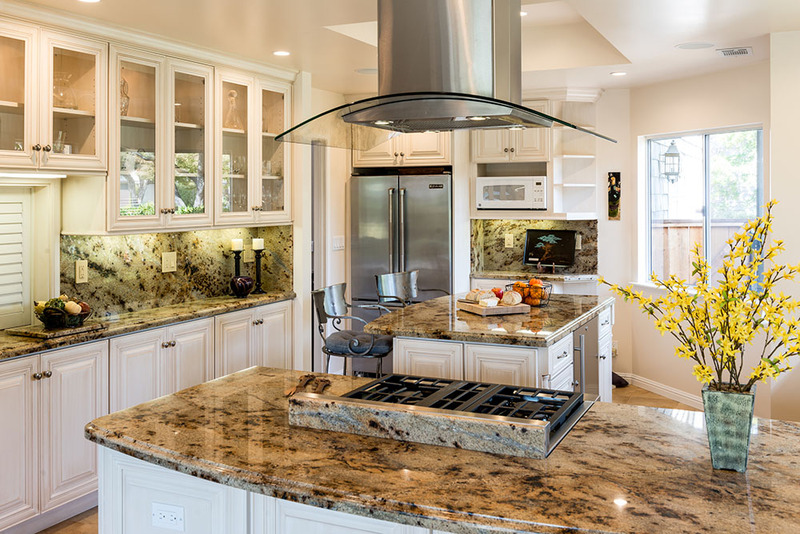 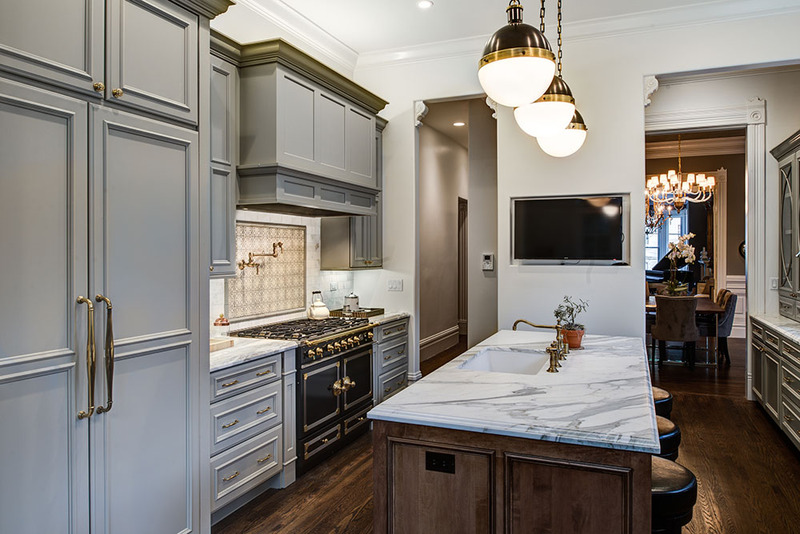 Traditional Kitchen designs usually feature more ornate characteristics, such as glass kitchen cabinet doors, stacked cabinets, larger crown molding and trim, raised panel doors and columns and pilasters. 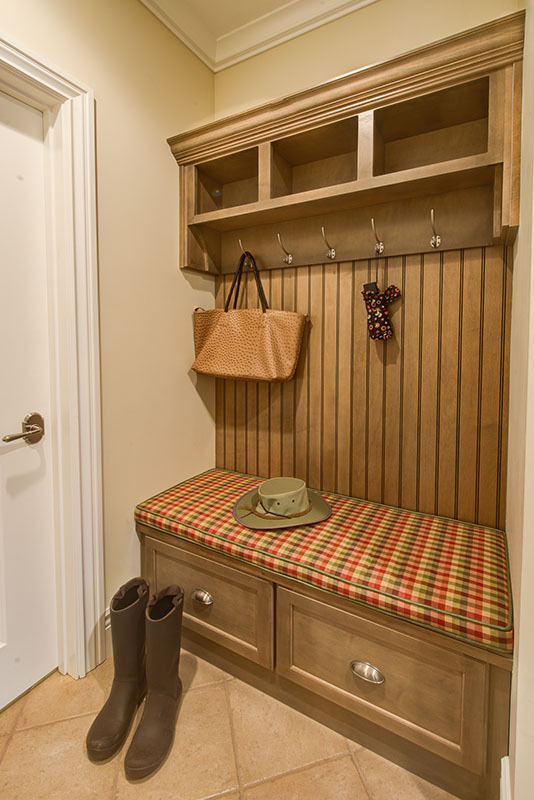 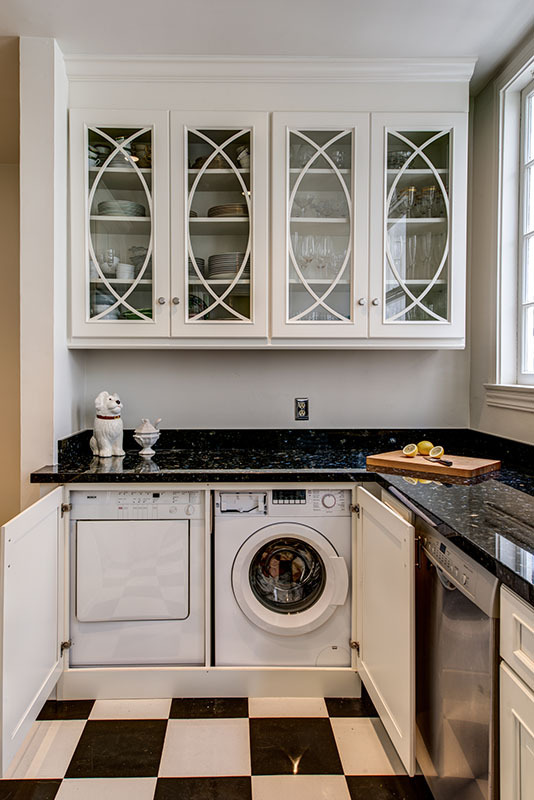 Pulls and knobs may have more detail compared to decorative hardware featured in more transitional or contemporary designs.